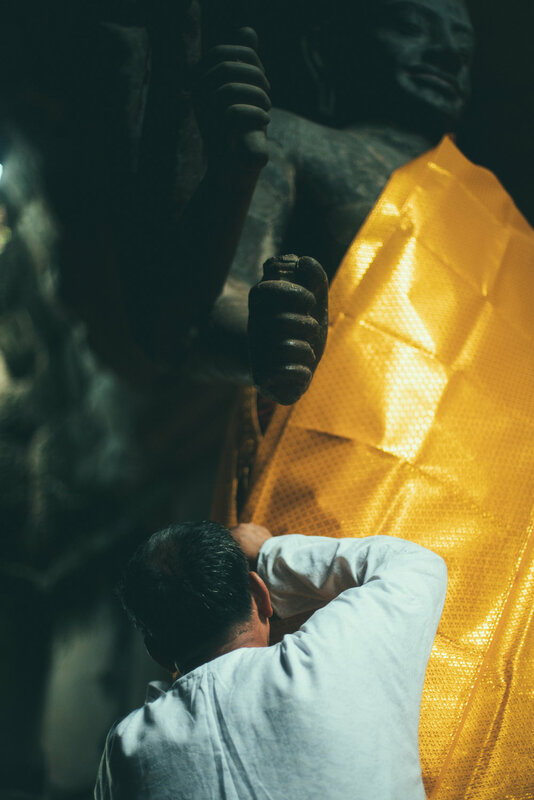 Details, smells, sounds and images from my stay in Cambodia this fall. October 1st - Elephants, what magical creatures. The jungle was thick, and from nowhere appeared this wild but gentle monsters, treading the surprisingly silently. What strange creatures. It's beautiful to see an animal in his natural habitat, happy an unbothered by the needy tourists. The place we visited is called Elephant Valley Project, and they pride themselves with the following slogan: "it is that simple & organic; there is no riding, no tricks, no shows & no stress, just elephants" and as advertised, the experience was wholesome and beautiful. The living facilities are rustic yet upscale and the staff is very knowledgeable. September 26th - I did not grow up with the forest. Most of my childhood was spent in Paris, where trees are fabricated witnesses and the grass only grows between pavement cracks. As much as it pains me to accept it, before coming to Cambodia, I did not understand the implications behind the word forest. The forest, in its truest and purest form; the type of forest you read about in children's books, I found it here. The Cambodian jungle is loud, and thick, a thickness so dense it almost smothers you; a benevolent and overbearing mother. The jungle is beautiful and messy, there are giant palm trees growing out of streams, and srolaos crossing branches. And when I see the forest so powerful and present, I come to wonder, should natural entities have a legal right? Are we neglecting our natural environment solely because it doesn't have a human voice? September 23rd - We now have arrived in Kratie province. The air is heavy and hot; we were given an important decision today. Kratie is home to one of the few Irrawaddy dolphin colonies left in the world; with only 80 individuals left in the Lower Mekong Delta, the dolphins are subject to important conservation efforts. Yet, it has been found that the growing boat ecotourism enterprise surrounding the dolphins may in fact cause more harm than good. The loud boats and incessant traffic on the river is found to negatively impact the dolphin's feeding behaviors. And today I was asked to chose whether or not I wanted to go out on these same boats and see the dolphins. Selfishly, the answer was obvious. This was, and remains most likely the only opportunity I will ever have to see the Irrawaddy dolphins before they go extinct forever; yet, this article yields no pictures. That is because I chose not to. Sometimes I believe it is best to let conservation and environmental science make the ethical decision for myself; indeed, conservation is a science of sacrifice and dedication, and I have never been this motivated. September 20th - Last night, a strong wind blew on our stilted house; the day prior, we had arrived at a ecotourism lodge named BeTreed. There was so much rain and so much dark forest around us it felt as if we were in the middle of the ocean, a ship lost at the desires of the sea. I couldn't see anything outside, expect when tick lightening would strike and illuminate the silhouettes of the trees, the leaves and the birds. The wood of the floor was screeching, the gibbons, calling. I have never seen anything like BeTreed. This place is run by a couple of Australians with their two daughters and it is, for lack of better words, remote. It is not remote in the romantic sense, rather it's remote in the raw sense of the world. Yet at the same time for that same exact reason, it is beautiful and powerful and wild. Ben, the father, is the protector of the forest. 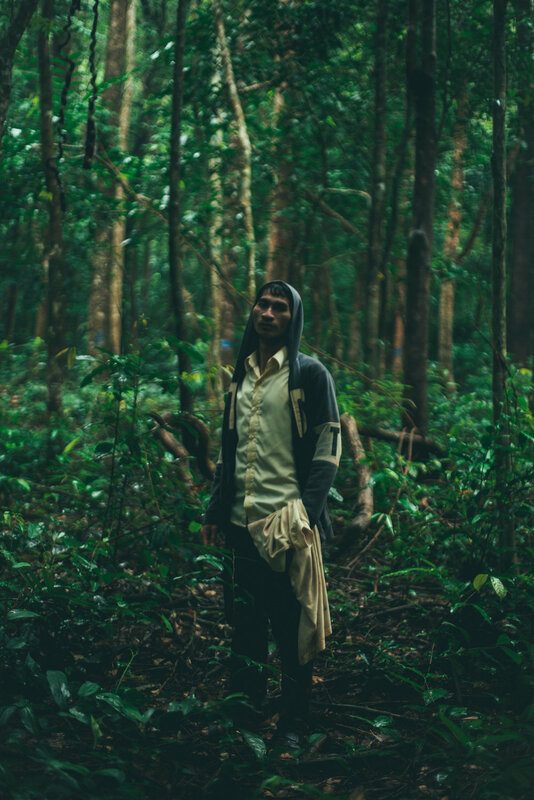 He patrols 7,000 hectares of the protected sanctuary aided by his rangers; he tracks the loggers, the poachers who have guns and knives, poachers that are angry, mad at all the other failed community initiatives and the empty promises of the international collations. But Ben and his rangers do not carry guns, they carry their lives and their love for the woods and the animals, sometimes they lose, others they win. Yesterday, we visited a landfill in Siem Reap. Piles and piles of trash, stretching like an endless sea. Sandals, passport photocopies, plastic bags, forgotten stuffed animals, card decks, bras and all sorts of discarded every day use items, a sea of rubbish; and Jean Baptiste is standing on top of all pf that, a pioneer. However, Jean Baptiste is not the only person in the landfill today, far from that. About 30 to 40 scavengers are crowding the site, cutting up scraps of vegetables and rotten fruits, collecting plastic bottles and iron pieces to sell to the Vietnamese. The scavengers live from our rubbish; they make three dollars a day. The work is dangerous for the pickers, the smells are toxic, the piles of trash are unstable; they walk in sandals among the broken shards. The methane gas blankets the landscape, the embodiment of an environmental grim reaper. September 11th - Last night, we stayed the night in a floating village located on the Tonle Sap, the largest freshwater lake in South East Asia. The village's name is Prek Toal, and the houses there are built on floating plastic barrels and bamboo shoots. The lake floods annually, and the floating villages moves in accordance with the pulse of the water, an everlasting race between the tides and the moon. Our host family was poor, the mother was concerned for the future of her children, the father worried about the vanishing fishes-most people are fishers here, and most of the fish is already gone and it will not be coming back. As the father puts it, "over-fishing, pollution and corruption, that's what killed the bigger fish". People now raise crocodiles in floating cages at the back of their homes and once they reach 4 or 5 years old, they sell them for their skin. Fifty crocodiles all piled up in four square meters cage, what a cruel world, but again, who can blame a man trying to survive? September 8th - Very early this morning, I woke up to feed the spirits. We had prepared plates of rice balls the night before, we had placed cigarettes and tobacco pouches on top, because the spirits smoke. Wandering in an intermediate hell, the spirits of the lost souls are wrong-doers, people dead far away from their homes and relative-less orphans. They are hungry, because haven't been fed for a year. Only fifteen days out of the year, during the festival of Pchun Bun, are they allowed to come back and roam the world, eat, drink and smoke. 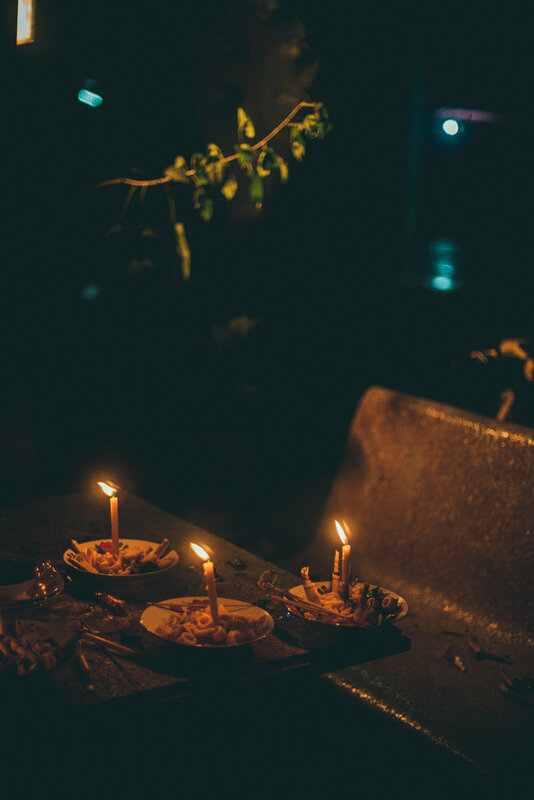 Hundreds of people walked in the waning darkness of the night, their eyes full of sleep, and their hands sticky with wax and rice. September 5th - I met a Buddhist monk, Lok Ta Saok Un. He had joined the monastery at the age of 13, primarily for greater educational opportunities. Here in Cambodia, it is common for young men to be compelled in becoming a monk for a few years and then returning to civilization to continue about the world with a greater sense of wisdom and self-control. Here in Cambodia, it also common for older women to become nuns following their menopausal period; they shave their heads and spend the remainder of their lives giving back to the monastery, the religion and the spirits. As Vitchet puts it "they are born with bare heads, and they die with bare heads". September 3rd - Today was a day of temple, a day of reflection and incense burning through endless doorways. It was also the day I got attacked by a macaque, and rescued by a friend. The sky was burning blue, and the hoards of tourists were walking diligently from one sandstone to another, watching with a distant eye, the sacred carvings on the walls. There were monks, elephants, children, peddlers and monkeys; all dotting the middle ages landscape of one of humans' most revered works of architecture and holiness. I recommend visiting Ta Nei, a lesser-traveled temple, lost in a lush evergreen forest. I once found myself alone at the center of this dilapidated marvel. August 31rst - As a privileged person, and by that I mean westerner with a stable family income background, I often come to wonder what drives me towards the protection of the environment. What is the force that motivates my work and studies? For one, it is not direct necessity, in other words, my life does not dependent on my obtaining natural resources in order to survive but rather my comfortable, and often industrial setting forces a certain removal from these otherwise environmental, pressing issues. Today, I don't have any exact answer to these philosophical questionings but my understanding is that my privilege should be an incentive for me to care, an incentive to act on the behalf of the people who simply don't have the leisure to wonder about the planet. My privilege is a gift that I should learn to use for the greater good. August 30th - We were finally able to visit the town today. 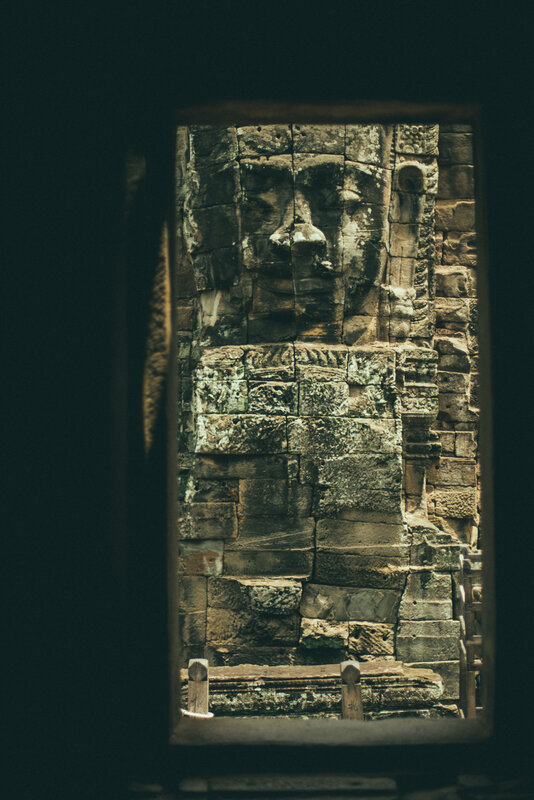 On first impression, Siem Reap is chaotic, exciting and loud, but Siem Reap also seems to be a town you grow to love, somewhere unique and memorable; somewhere where time is somewhat stretched out and seven at night feels like midnight. 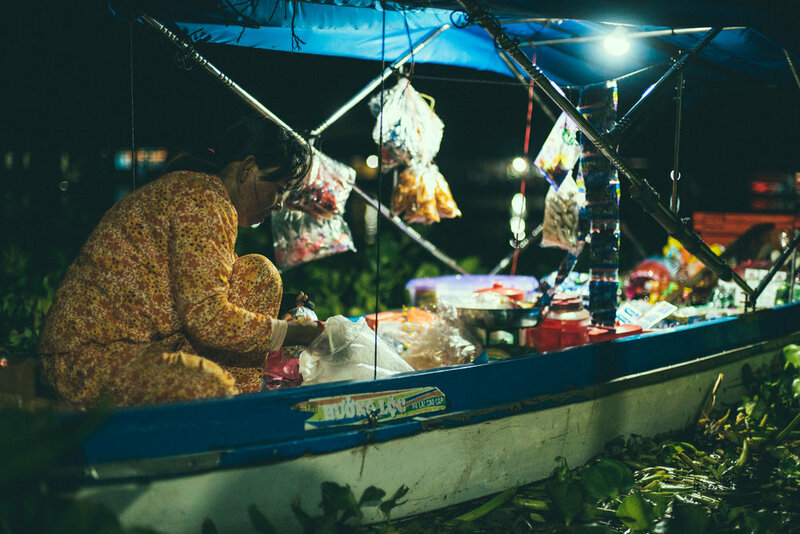 The tuk-tuk drivers have installed neon lights in the inside of their sitting car, it lights our faces up in bright orange, blue and pink as we drift into the dark night of alley ways and the flooded countryside. I have noticed I am going about this experience with a grain of apprehension, fed by the past of this country and the obvious sensitivity of some subjects, I however don't intend for these feelings to hold me back. August 29th - It's been two days already, here in Cambodia. The weather is damp, and the nature is loud. I have found that what fascinates me most about the landscape I have seen so far is the clarity with which I can hear birds, frogs, critters and other mammals, all lurking in the dark when the night falls. Geckos crawl on the ceiling and spiders run from corner to corner of the white tiled floor. It feels like mid-July. There's a strange stillness to it all.